Scammers tend to rely on money transfer businesses like Western Union and MoneyGram because once the money is sent and picked up by the recipient the transaction is generally irreversible. Such scams include transfers made for fraudulent lottery and prizes, family emergencies, advance-fee loans, and online dating, among others. ... 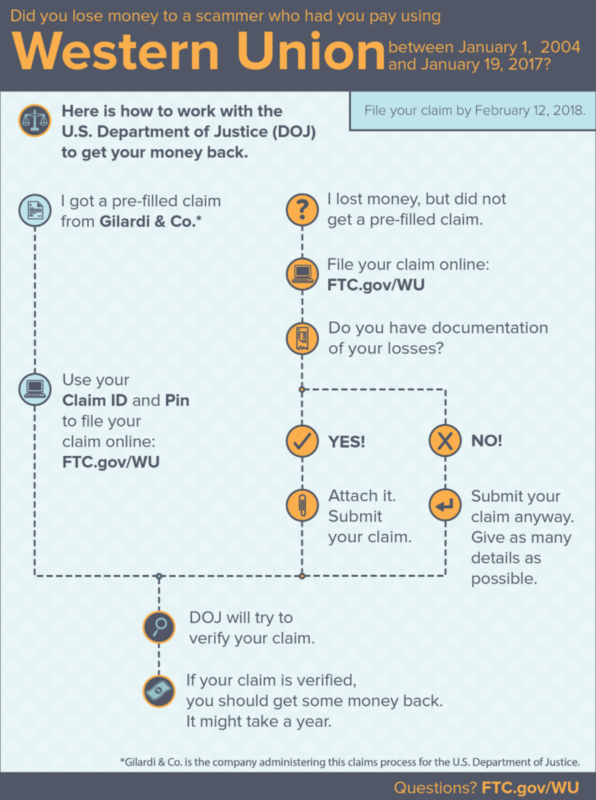 The agency emphasized that filing a claim is -free- so consumers should -not- pay anyone to file a claim on their behalf..."